Last month’s World Backup Day originated as an annual reminder for technology users about the importance of backing up critical data – from our work documents and contact lists to personal digital media, including music playlists carefully curated over the years, and the precious memories stored in our digital camera rolls. It was a great awareness day for all of us as individuals, but also a perfect reminder for organizations on the critical urgency of preparing for business continuity in the face of increasing cyberattacks and other types of file loss. Outages of all kinds happen to all companies. Just look at what happened to Facebook last month. If a company like Facebook, with its massive scale and resource, can fall victim to an outage, it can happen to anyone. And while Facebook was able to recover after a long 14 hours, most other businesses (think SMBs that are much less equipped than than a large corporation) won’t be as lucky. Facebook blamed its outage on a server configuration change, but more sinister causes are not uncommon. For instance, global ransomware damage costs are skyrocketing, and it may surprise businesses to learn that ransom payouts can be the least of all damage cost contributors associated with cyberattacks. The real financial injury is in the post-attack disruption to a business’ operations and productivity. Whether it’s accidentally self-inflicted or the result of a malicious attack, most organizations at some point or another will be forced to deal with inevitable outages. 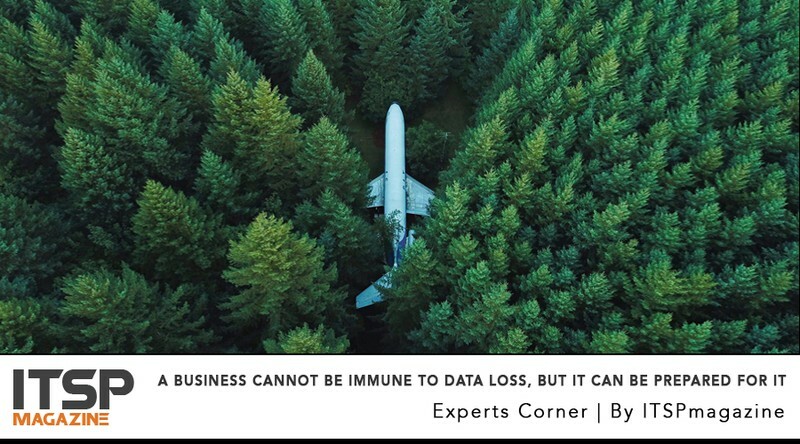 This is why it’s incredibly important for all companies, regardless of size, to have a backup and recovery plan in place. A data backup refers to any piece of data that is replicated and stored separately from its original – online or on another piece of hardware, for instance – so that it is safe and accessible in the event of a system crash or malware attack. Companies should also look beyond the backup plan and define a broader business continuity plan that outlines how they will continue to function as a business during an outage – prior to being able to use a backup system to restore. They should also review their plans on a regular basis to identify changes in the backup products or services they’re using. And, to the extent possible, the business continuity and backup plan should be tested regularly to make sure it will actually work as expected during an outage. When putting together a data backup and business continuity plan, the most common mistake that companies make is focusing only on the tools designed specifically for backup and recovery, instead of looking at all the products and services at their disposal, many of which can help in an outage situation. Email threat protection solutions provide business continuity through a backup for email that can be leveraged in case of a down mail server. Generally, the solutions allow access to about 30 days of email communication and will queue up any new incoming emails until the mail server becomes available again. Users can easily read emails, reply, forward and even compose new emails. When the email server becomes available again, the business continuity service will sync with the mail server to ensure a smooth transition for the user. Archiving solutions also typically provide the ability for users to access emails that may no longer be available in the mail server. The archive becomes an easily accessed backup of user emails that the user can access without having to store large volumes of email on the overloaded mail server. Many archiving solutions provide for unlimited or at least several years’ of email storage and provide much more advanced search capabilities than what users have in their email system. Data loss can happen to any business, at any time and can be triggered by even the smallest missteps. While events like World Backup Day are good annual reminders for businesses to run a health check on their business continuity plans, these should really be validated on an ongoing basis. Companies should constantly evaluate, test and tweak their backup plans, and for small-to-medium-sized organizations that may be more cost-restrictive, looking at the business products and services they already have in place can uncover non-traditional but strong capabilities to support a robust business continuity approach.